I was so excited when the good people of Book Expo America provided LMezz a press pass to New York’s annual book event of awesome. I attended BEA (the professional trade show) on a Friday, and BookCon (the day open to the public) on Saturday. Friday’s author signing events were so fun and plentiful that I was happily running all over the Javits Center floor between publisher booths and autographing tables. Highlights included trading quips with Seth Grahame-Smith, who was signing copies of Abraham Lincoln, Vampire Hunter; checking out a YA thriller about a teenage girl who wants to kill by S.E. Green; and meeting not one, but two of my Regency romance heroes, Sarah MacLean and Loretta Chase. My biggest regret was missing out on Lois Lowry signing copies of a new edition of The Giver, and Amanda Palmer signing/illustrating galley excerpts of her upcoming book. But I didn’t worry, because there was one more day of book geekery to be had. 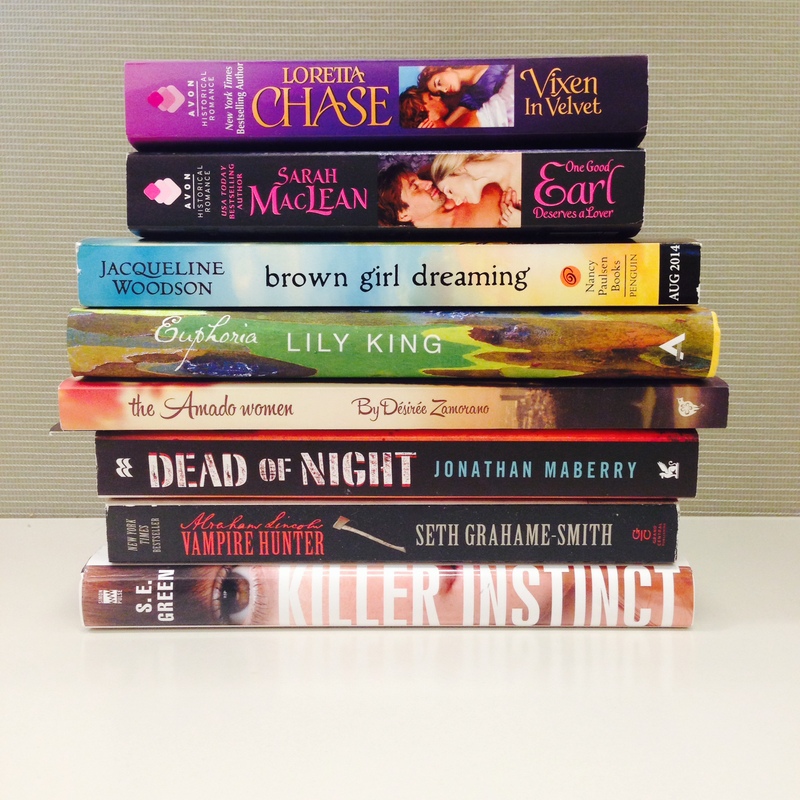 BookCon (formerly known as Power Reader Day) is meant to welcome the public to BEA. While the public certainly attended, BookCon’s intentions–and overall organization–remained severely underdeveloped. Last year’s Power Reader Day was such a delight that the disappointment of BookCon 2014 was even more deeply felt. 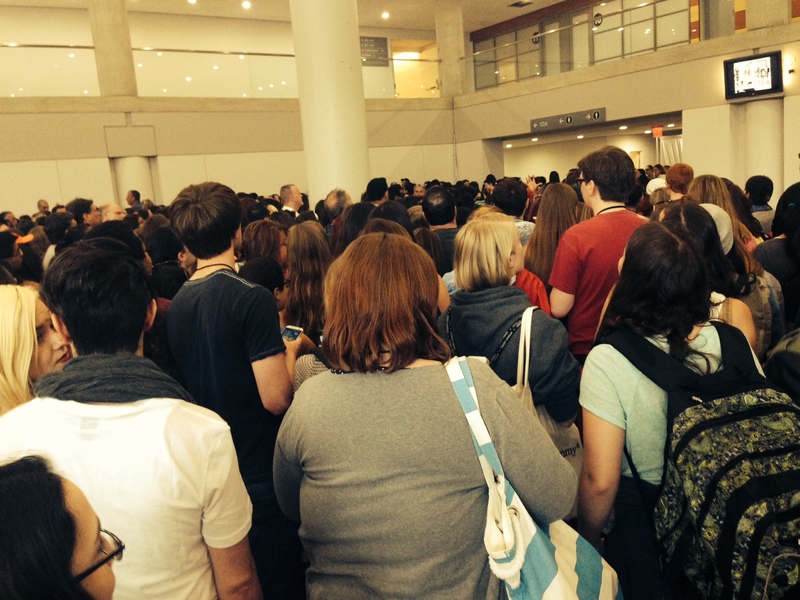 Shoving thousands of BookCon people into a third of the Javits Center’s BEA space was an especially poor choice. Mislabeling the location of events on the show program was another. Crowd control measures also weren’t handled well (with the exception of the John Green Q&A event, which had more teen wrangling than a One Direction concert). The only positive I could find in BookCon was the Image Comics booth, which featured free single first issues of many different series, and had a marketing rep who was super passionate about Image’s titles (I solemnly swear to finish my trade edition of Rat Queens). The John Green “line,” pre-wrangling. I would say though that despite the frustration–and lack of super cool tote bags and ARCs–that the huge crowds at BookCon show opportunity. Even if the attendees only appeared at BookCon to see Grumpy Cat or Amy Poehler, they still paid the not-so-cheap ticket price to attend BookCon. Who’s to say these people wouldn’t spend the same amount of money for a book or two? The coolest tote bag I scored from BookCon 2014, autographed by Nicky Hilton. Awwwww yeah. reporting! Keep up the great works guys I’ve included you guys to my blogroll.